January was a whirlwind of birding. Since the WINGS tour, I’ve had the pleasure of sharing the amazing scenery and wildlife of eastern Newfoundland with visiting birders from Texas (Jan 18-20), Ontario (Jan 23-27) and British Columbia (Jan 29). They all came with slightly different goals and targets, but everyone was keyed up to see the wonderful variety of birds that call this place home in winter. The weather we experienced during those two weeks was also a whirlwind of sorts, spanning the gamut of the Avalon Peninsula’s infamously variable climate. January 18 was the coldest day of winter so far, and two birders from Texas (John & Tom) and I found ourselves facing very bitter winds on the edge of North America at Cape Spear. The stinging faces and numb fingertips were all worth it though, as we enjoyed watching a lone Dovekie feeding just offshore — a major target in the pocket. Throughout the next few days we enjoyed great views of other sought-after birds like Great Cormorants “sunning” on rock, dozens of Tufted Ducks at point-blank range, Black-headed Gulls bathing in small patches of open water, and beautiful Eurasian Wigeon dabbling with the local ducks. We even managed to relocate three White-winged Crossbill in Ferryland (scarce this year!) 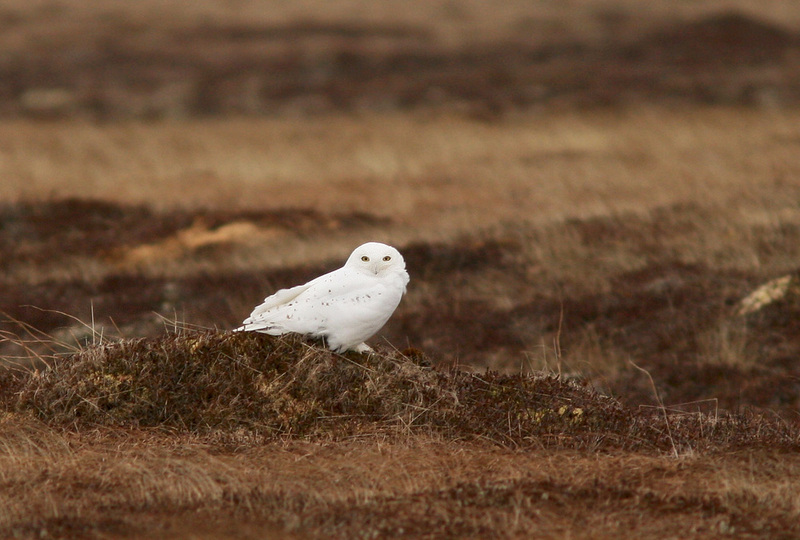 and a Snowy Owl keeping watch over the tundra south of Cappahayden. 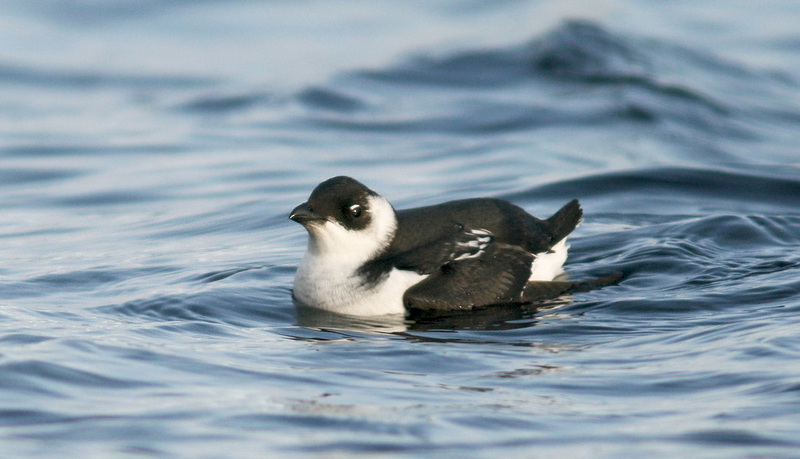 Dovekie is among the most sought-after species by visiting birders – and January is prime time to see them. 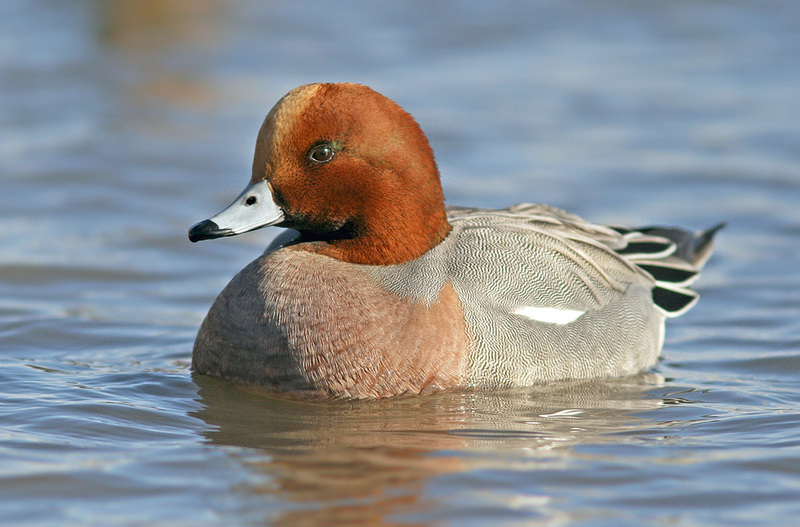 Eurasian Wigeon are uncommon visitors to Newfoundland, but they sure do add a little spice to our winters! 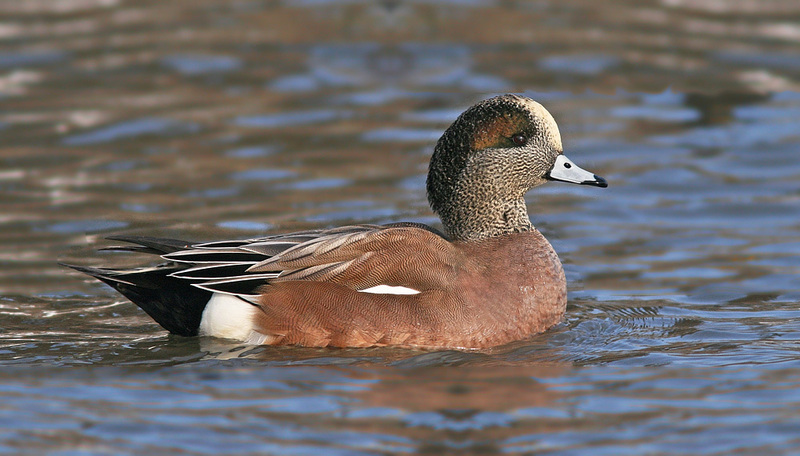 American Wigeon, the more expected species on this side of the Atlantic, aren’t too shabby themselves. 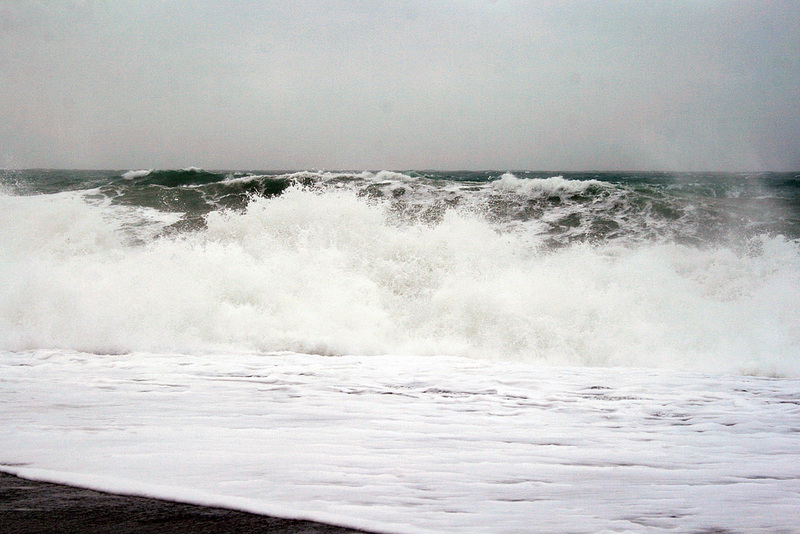 Much of January was punctuated with high winds, including a storm on January 25 that brought gusts of well over 130 km/h and two days of storm surges along the island’s coast. Hoping for a rush of seabirds being blown onshore, visiting birder Judith and I met the storm along the Avalon’s southern shore. Black-legged Kittiwakes, which are usually far offshore in January, glided by and Dovekie zipped past as if it were a perfectly nice afternoon, while small groups of Common Eider bobbed up and down on the breakers. Unfortunately, many of the more pelagic species we were gunning for failed to show up, but the incredible winds, waves and angry seas made for a memorable experience! By month’s end, a mild spell and generous rains had opened up a bit of extra standing water and cleared away most of the snow cover. Testament to that is the fact that we were able to drive all the way to Cape Race several times – very unusual for this time of year. The open road opened a door to some excellent birding – at least two Snowy Owls, rafts of Common Eider, dozens of Red-necked Grebe, all three species of Scoter, and a pair of Harlequin Ducks. 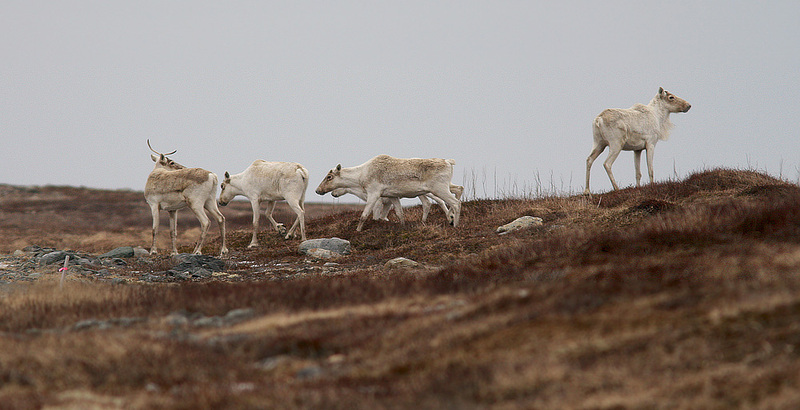 Even more interesting was a group of 32 Woodland Caribou traversing the barrens – an encouraging sign for this struggling herd. 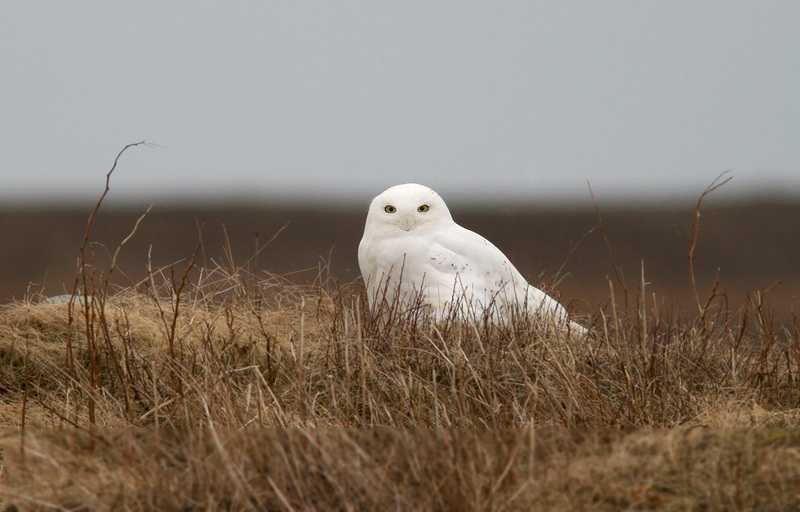 It’s been another great season for Snowy Owls. As usual, most tend to be young ones – so this adult male was a nice surprise! Note the dark barring on this owl, identifying it as either young or female. The Avalon herd of Woodland Caribou has seen incredible decline over the past few decades, so seeing a group of 32 was very heartwarming. Lovely animals! Walking trails had turned to ice, feeling more like skating rinks than paths – but that didn’t stop Fran (from British Columbia) from making the best of our day out. We crept along the north side of Long Pond, stopping to enjoy the company of several Boreal Chickadees and Red-breasted Nuthatches as they took seeds right from my hand. Tufted Ducks, Greater Scaup and even an American Coot entertained at us at several ponds, while a lone Purple Sandpiper, Long-tailed Ducks and dozens of Common Eider were among the highlights at Cape Spear. Of course, birds aren’t the only stars of our show! 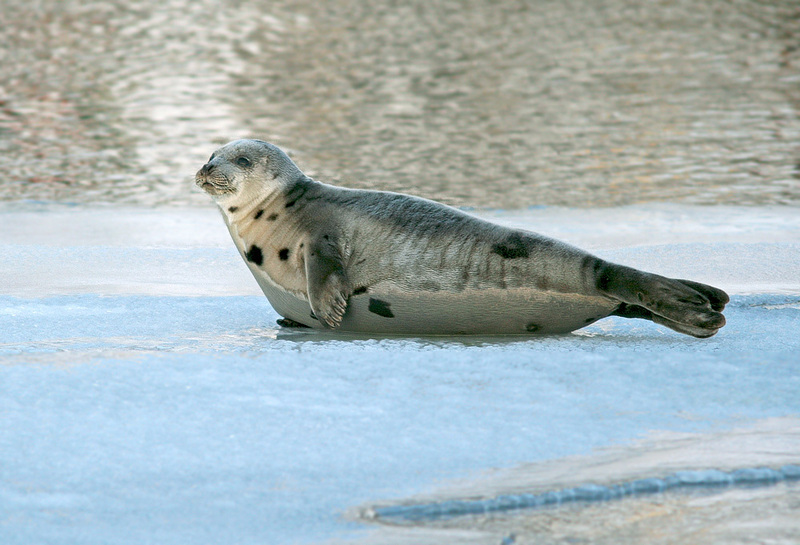 We also enjoyed seals, otters and even a humpback whale this January. 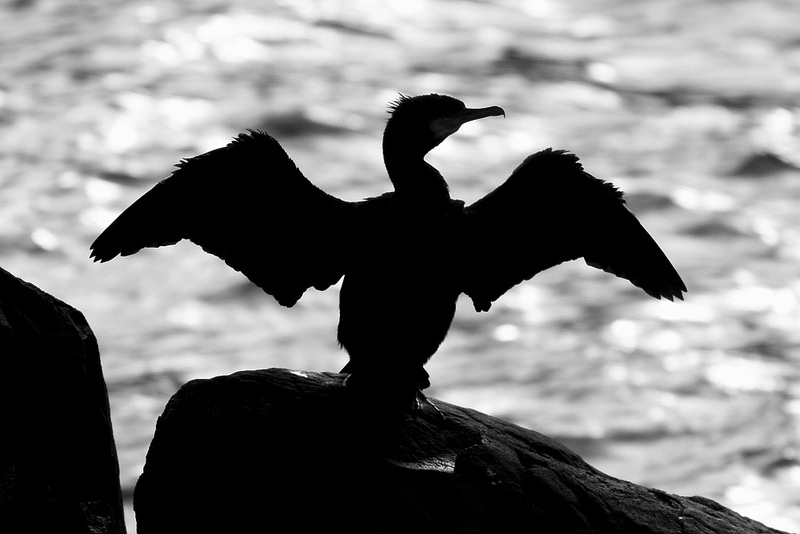 A Great Cormorant drying its wings in the heart of historic St. John’s. 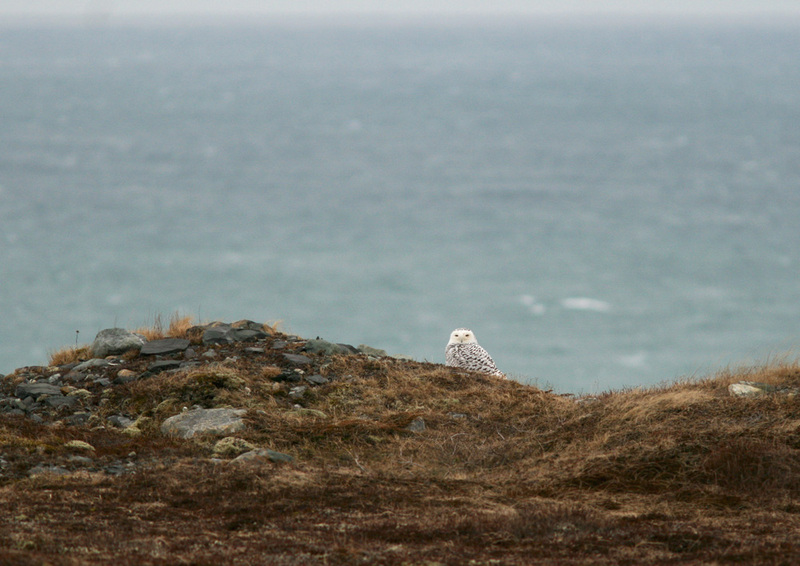 This entry was posted in Birding Tours, Photography, Weather and tagged birds, Bubo scandiacus, Dovekie, nature tours, Newfoundland, Photography, Snowy Owl, St. John's, weather, winter bird list. Bookmark the permalink.